HomeBlogDo you have what it takes to be an entrepreneur? If you have an idea for a business or product, taking on the hat of an entrepreneur can seem like a daunting task. Having a great idea is half the battle. But have no fear, anyone can become an entrepreneur. Simon Sinek is probably one of the most outspoken people when it comes to the subject of business leadership and his talk on TED.com is the third most watched talk of all time. According to Simon, the best advice is to “Start With Why”. 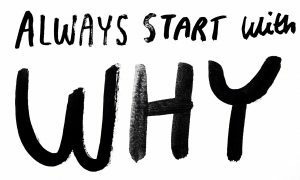 Many great leaders and entrepreneurs succeed because they know their “why”. Their why is what drives them to do what they do, learn from their mistakes, and continue to move forward. There have been surveys and research done that can shed some light on some common personality traits of entrepreneurs, but ultimately, knowing what your strengths and weaknesses are will help guide your goals. When it comes to goal setting, always be specific. They build a strong team and delegate effectively. They have excellent communication skills. Trust in their own ideas. Change the conventional ways of working if they need to. Enjoy life and celebrate their successes. And always fight for what they believe in. Forbes.com says that entrepreneurs “have passion & determination” and “are confident in their venture. They are not afraid of failure; when they do fail, they see it as a new challenge to push harder.” So basically, if you love what you do and aren’t afraid of failure, the only person holding you back is you. Being an entrepreneur isn’t easy and it isn’t for everyone. Some people take the plunge only to discover that it’s not for them and they’re happier working in another industry. So why not take the first step on your entrepreneurial journey and see where it leads you?